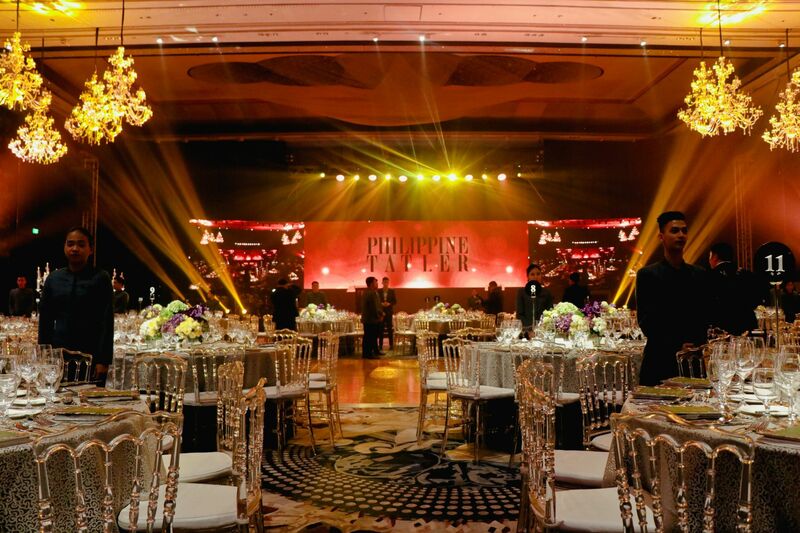 As the cocktails wrapped up, more than 450 guests entered the Grand Ballroom of the Shangri-La at the Fort. To begin the evening, our Managing Director, Irene Martel Francisco, welcomes the crowd. The annual anniversary fundraiser ball highlighted two very important aspects; first and foremost, MovEd Foundation, its beneficiary, and, of course, the very deserving 2018 awardees. This year’s beneficiary is the MovEd foundation which focusses on education and commits to providing enhanced quality early education for disadvantaged 3- to 5-year-old kids. Another highlight of the evening was the performance of American Idol star, Jessica Sanchez. Much-deserved recognition went to seven awardees this year for their unstinting contributions in their respective fields. The 2018 awardees were Rajo Laurel for Most Creative Force; Lucy Torres-Gomez for Most Stylish; Couple of the Year Donnie and Crickette Tantoco; Margie Moran Floirendo for Patroness of The Arts; and Jewelmer’s Manuel Cojuangco and Jacques Branellec for The Diamond Award. This event was a stupendous success thanks to the wonderful support from the ball’s main partners Mercedes-Benz and Santos Knight Frank as well as its supporting partners, HSBC Premier, Albany Megaworld, Simmons, Sunseeker Yachts and AWC. Rajo Laurel makes his way to the stage to receive his award as Most Creative Force 2018 | He received a staycation package courtesy of Shangri La Boracay. Crickette and Donnie Tantoco received the Couple of Year Award | The couple received a gift courtesy of Simmons. Margie Moran Floirendo is honoured as Patroness of the Arts 2018. | She received a gift courtesy from Hermes. Diamond Awardees Manuel Cojuanco and Jacques Branellec smile for the cameras. | The diamond awardees also received a gift courtesy of Rimowa.